Make Skype calls from your cell phone, the nearest phone - any phone! Actiontec once again delivers a product that enhances your Skype experience. Before, you had to sit in front of the computer and wear cumbersome headsets for Skype calling. 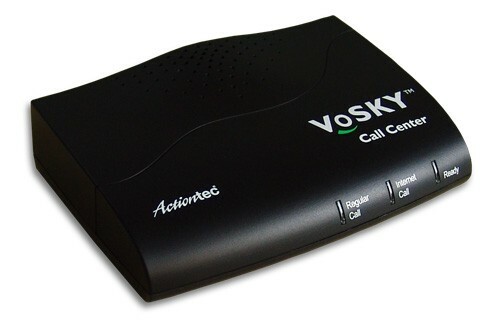 Now VoSKY Call Center from Actiontec takes the great sound quality and low cost of Skype calls and makes these features accessible everywhere, on any phone.